Every state has its own statute of limitations, or time limit, in which a person can file a lawsuit before that claim is forever barred. In Texas personal injury law, a party must file suit within two years from the date they were injured due to the negligence of another party. The limitations periods vary depending on the type of case that is being filed. As a result, it is important that you consult with a Texas personal injury lawyer to ensure that you don’t miss the applicable statute of limitations for your case. Under Texas personal injury law, people can file lawsuits in civil court when they have been injured due to the conduct of another. When a case is based on negligent conduct of another, comparative negligence is a factor that must be taken into account. When the jury, at the end of a case, apportions fault between the party, they will apportion percentages to each party. The State of Texas follows the modified comparative negligence doctrine. This doctrine means that the plaintiff can only recover if they are found, by a jury, less than 51% responsible for their injuries, or the incident in general. Moreover, a jury’s award will be decreased by the amount of fault apportioned to the plaintiff. For example, if the jury awards $100,000.00 to the plaintiff, but finds the plaintiff 40% negligent, then the plaintiff will be permitted to recover, but the most they will recover is $60,000. No matter the amount of damages the jury finds in a case, if a plaintiff is 51% or greater negligent, then they recover nothing. Personal injury victims suffer a wide-range of damages. As a result, it is important that you contact a Texas personal injury attorney today to help evaluate your case and determine the damages to which you may be entitled. 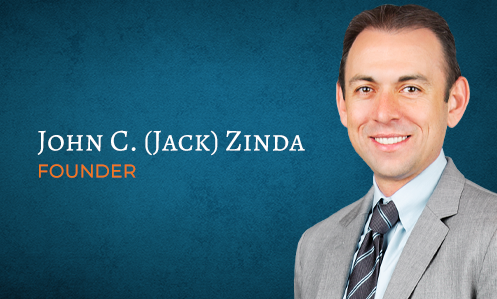 If you want to know what your case may be worth, contact a Texas persona injury attorney at Zinda Law Group, who will help you determine the amount your case is worth and your likelihood of recovery.